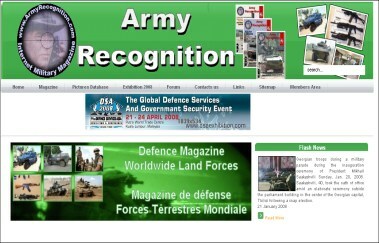 The new web site of Army Recognition is available now. 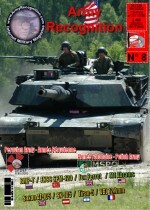 The magazine Issue 8 is now available to the site Army Recognition. For only 14.90 € , you have a full colour magazine with 64 pages, 120 colour pictures and a CD with more than 1000 high resolution pictures about armoured and military vehicles is use today with lot of details pictures. In this Issue 8 , US M1 Abrams , Turkish SPM-120, British Saxon AT-105, Austrian SK-105 Kuirassier, French VBL Reco 12,7 mm, Israeli Tiran-5 MBT, Russian BMP-T Terminator, British FOX Ferret. Photographs report about the Polish Army MSPO , and the Peruvian Army SITDEF. New technical data sheet and pictures about , US Army wheeled armoured vehicle Buffalo, Cougar H, Cougar HE, and Sheeta. The Army Recognition magazine and web site become now a very popular media for the communication to the worldwide Defence Companies and Exhibition. Laste year, more than 3.000.000 people have visited our web site and the magazine is read to all parts of the World. Our work and our growing popularity, us allowed to become official partner with four Defence Exhibition : SOFEX 2008 International Special Operations Forces Defence Exhibition (Jordan), DSA 2008 International Defence Services Asia Exhibition (Malaysia), EUROSATORY 2008 International Land Airland Homeland Defence Exhibition ( France), and MSPO 2008 International Defence Exhibition (Poland). The first event of the year is the SOFEX 2008, see every day before the 01 April 2008 what's happen during the event, with photographs and daily news. 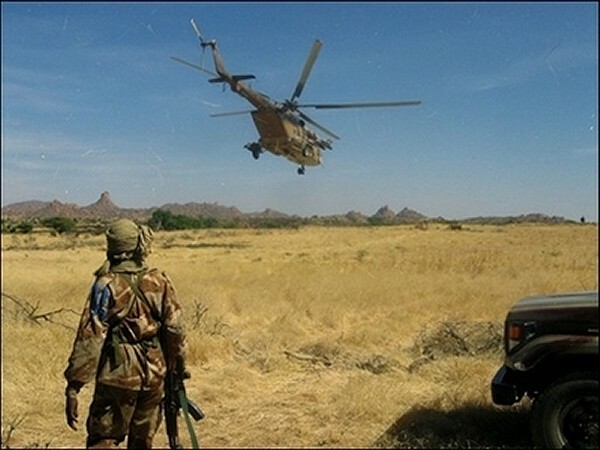 Visit this link to see more about SOFEX 2008. SitDef 2007, International Defence Exhibition, Lima , Peru. The SITDEF 2007, is the first international event in the field of the the technology for the defense that made in Peru. After attenting during years similar exhibitions in the region and the world, Peru will be the host of the encounter of Defense Technology. During five days, from the 21 to the 25 November 2007, local and foreign companies will show some of the laste defence technologies products. For this first edition, the organisation was very good and the position to the headquarters of the Pruvian Army was a very interesting place to see military equipment and products of Peruvian Army. The team of Army Recognition was the only foreign media who cover this event, and make a full photographs reports about the SITDEF 2007. The Army Recognition magazine cover lot of military defence in the world, and he become one of the most interest media about military products and defence events from all parts of the world. Our magazine and web site, is now very popular and is one of the best way to promote Defence Exhibition and military products. Visit the pictures gallery about SITDEF 2007. Expomil 2007, International Defence Exhibition, Bucharest, Romania. Expomil 2007 International Defence Exhibition, organized by Romexpo, together with Romanian Ministry of Defense,Romanian Ministry of Economy and Commerce, Romanian Ministry of Administration and Interior, Romarm S.A. and Patromil, is intended to present the latest achivements in the military equipment and technologies fields and also to create the professional frame aiming to bring together manufacturers, importers and distributors. The magazine of Army Recognition was there, to make a photographs report about this event, and see the laste technologies produce by Romanian Defence Industries. For 60 € for one year access you can see and download thousands of high resolution pictures about modern armoured, vehicles, weapons, and military equipment of ground forces. Update all the time in the year.